Gregory is a long talented defensive end who excels at rushing the quarterback. He has very good football instincts and shows a good motor. Gregory played very light at Nebraska, but still played with good strength. He was banged up a little bit this year with a knee injury, but still showed enough to warrant a high draft position. He does have some off the field concerns however as he tested positive for Marijuana at the NFL Combine. 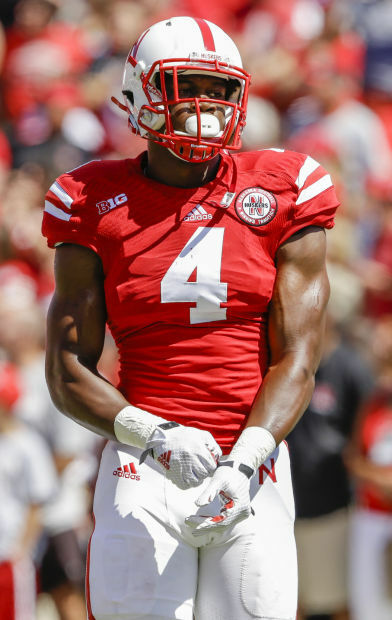 Randy Gregory is best as a stand up Outside Linebacker in the 3-4 with his excellent length and speed around the edge. Collins played left tackle this past year for LSU and was a major piece in establishing the run game. Collins looks like this years Zack Martin as he is a premium road grader on the offensive line and will most likely start out as a guard. On tape you constantly see La’el Collins move defensive lineman out of the way and creating great holes for the running back. Collins has a good kick slide in pass protection along with decent athleticism. He isn’t the most fluid, but still shows the ability to get to the second level. 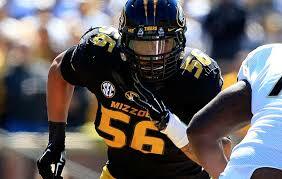 Look for Collins to be a high draft pick and eventually ending up as an effective tackle at the next level. Collins is a great tackler and plays the safety position from a run support perspective about as well as you can. He excels at flying from the back end of the defense in run support and has great power when tackling. Along with being great in run support, he also is a magnet to the ball in pass coverage. It is a legitimate concern if he can play as a single high safety at the next level or if he is strictly a strong safety. He is not elite in coverage, however Collins is an instant starter and impact player as a rookie. He left Oklahoma early as a redshirt sophomore so he will need to be developed, but has the type of talent to be a definite starter. Phillips is huge and moves very well for his size. He excels in pass rush as he has a number of moves to beat the offensive lineman. I believe he is scheme diverse at the next level in either a 3-4 or 4-3 defense. One area that he needs to improve on as a nose tackle is his ability to hold up against offensive lineman in the run game. At his size he sometimes gets moved when he shouldn’t. Phillips is kind of a boom or bust prospect, as he shows very rare traits for his size. After being a top junior college recruit, Strong has put two outstanding seasons together as a Sun Devil. Jaelen Strong shows excellent soft hands with the ability to pluck the ball out of the air. Along with the great hands, he also exhibits excellent body control and the ability to win one on one battles. Strong isn’t the quickest, but does show good long speed as a deep threat. With Jaelen Strong’s good size and hands, he has the potential to be a number one receiver in the NFL. Eddie Goldman was an anchor on the Florida State defensive line. Even at 339 pounds he moves very well for his size. He does an excellent job holding up against double teams and against the run. However, he is not the most prolific pass rush threat. As an NFL player you are getting a player that can be an impact player on the defensive line, just not in the sacks category. Goldman is scheme diverse as a 3-4 Nose tackle or a 4-3 defensive tackle. Solid Left Tackle at Oregon. He is very athletic and shows a good nastiness to finish off blocks. Fisher has a very good kick slide in pass protection. At times he lets the defender into his body. He also needs to improve balance and being quicker against interior rusher. Could be a surprise 1st round pick and solid starter at the next level. Eli Harold excelled at Virginia as a edge rusher with his athleticism. Harold is a quick twitch edge rusher who also has good length. Harold plays with a high motor rusher and gets off the line quick. He will have to improve against the run. A big, versatile Defensive lineman that is highly disruptive. Needs to be a more every down player instead of just showing flashes. He does flash excellent quickness off the line and the ability to be disruptive in the backfield. Can play 4-3 DT or 3-4 DE. Highly instinctive, 3-down linebacker. Plays sideline to sideline and is the top linebacker in terms of coverage in this draft. Has a nose for the football and is an instant impact player. If not for 2 marijuana arrest and a domestic violence dispute where he pushed his girlfriend down the stairs, he’d be up there with the other elite Wide Receivers in this draft. DGB excels in jump ball situations and also has good speed/quickness. Rare tight end combination where he excels in blocking and catching the ball. Very athletic and can separate from coverage. Excellent ball skills as well. Perryman has great athleticism and aggressiveness. He has the quickness to split offensive lineman and get in the back field. He is an excellent runstopper, but at times is over aggressive in tackling. Another concern is how well he plays in coverage. The team that drafts Perryman gets a big hitter who plays with great power playing and a low base. One of the most instinctive linebackers in the draft, Dawson was all over the field for the Horned Frogs this past season. Dawson is quick to react, and is best at the next level as a 4-3 weakside linebacker. Two concerns about Dawson are his size and speed. Williams is an extremely disruptive player on the defensive line with 54 tackles and 4.5 sacks already this year. He does a great job disengaging blockers and finding the ball carrier. At 6’5 and 300 LBS he has the athleticism to be scheme diverse at the next level as a 3-4 DE or a 4-3 DT. Has all the tools to be an NFL QB along with his blazing speed. Has a lot stronger arm than people give him credit for. 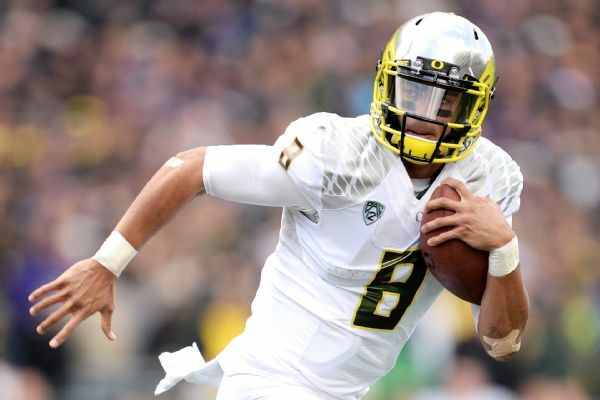 Mariota shows very good poise in the pocket and is a very accurate passer. The question remains how he will adjust to the NFL game coming out of the Oregon offense. The best edge rusher in this draft. Shows a great get off and has the knack of getting to the quarterback. He missed the first few games with a knee injury, but has bounced back well. He is scheme diverse at 6’6’ 245 as a 3-4 OLB or a 4-3 DE. Cooper has everything you want when it comes to a wide receiver. He has great hands and is a great route runner. In Lane Kiffin’s offense he has really shown to be excellent in the open field. 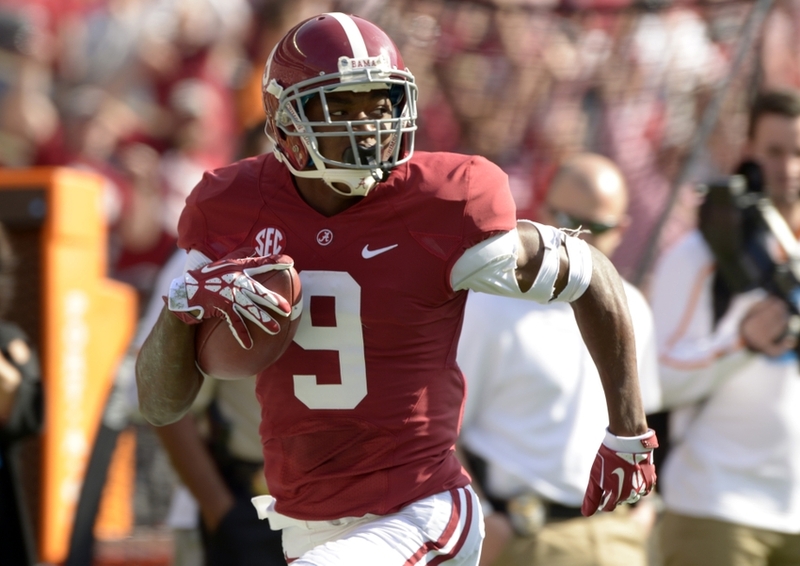 He doesn’t have that elite size, but he is an all-around elite wide receiver. Look for Cooper to run a blazing 40 yard dash and be a top ten pick in this year’s draft. 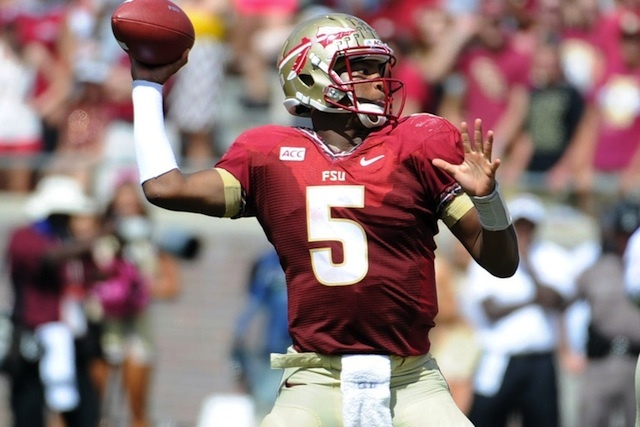 Winston will be one of the most controversial prospects in the draft. On the field though he has all the tools to be an NFL Quarterback. He has great size, accuracy and arm strength. He has poise in the pocket and unbelievable anticipation throwing the ball on time. He does sometimes get in trouble trusting his arm too much and forcing the ball. There are also the off the field questions where his maturity is an issue. It should be interesting where he ends up in May. 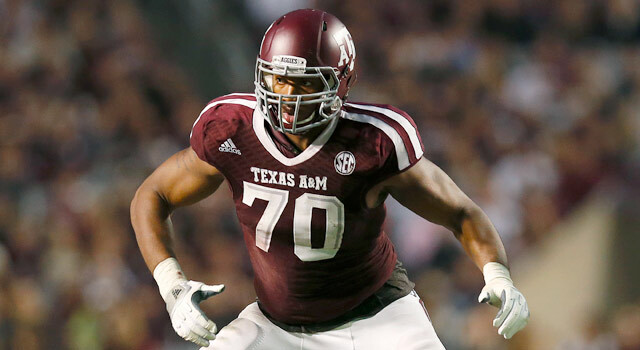 It looks like Cedric Ogbuehi is the next Offensive tackle from Texas A&M to be drafted in the first round. Ogbuehi has great feet and is very good in pass protection. He will need to get a little better on the ground game, as sometimes he lacks power at the point of attack. Ogbuehi has struggled a little bit in the past few SEC games, but I think it is too early to drop him as he has all the raw tools to be a starting offensive tackle in the NFL. He has recently been moved back to Right Tackle. Gurley is one of the most talented running backs to come out in recent memory. He has the size, speed and playmaking ability to make people miss. He is not only a threat on offense, but in the kick return game as well. Don’t expect the suspension to take a hit to his draft stock. 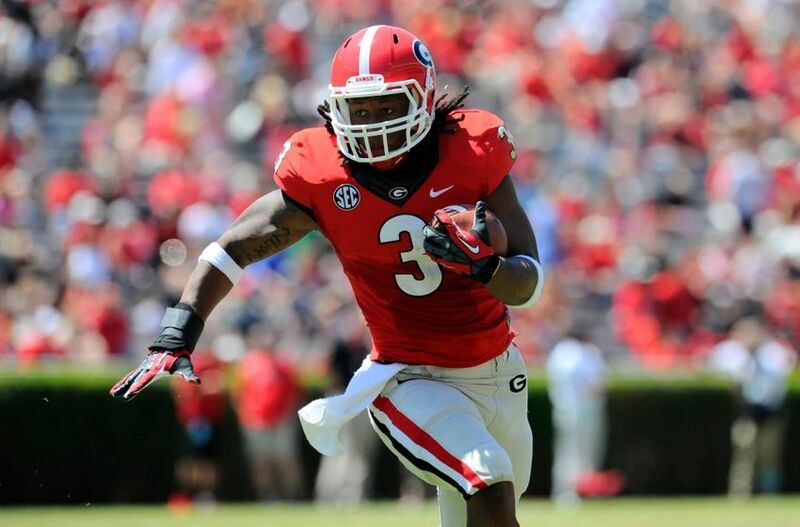 Look for Gurley to be a first round impact running back. He is the complete package at the safety position. 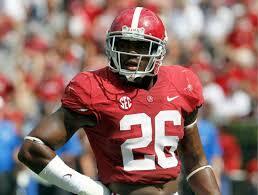 Landon Collins comes up and plays the run just as good as any safety in the country. He is a viscous tackler and attacks with speed downfield. In coverage he is a ball hawk with playmaking ability. Look for him to be the first safety drafted this year. He is a freak athlete with great speed and quickness. Ray is a high motor player who has great quickness to get around offensive tackles. Shane Ray is an impact player who currently has 12 sacks on the year. He sometimes struggles to disengage off of blockers and gets moved in the run game. Overall he can be a great pass rusher as a 3-4 outside linebacker. Brandon Scherff reminds me a lot of current Dallas Cowboy Zach Martin from last year. He isn’t as good in pass protection as Martin, but he is an excellent run blocker. 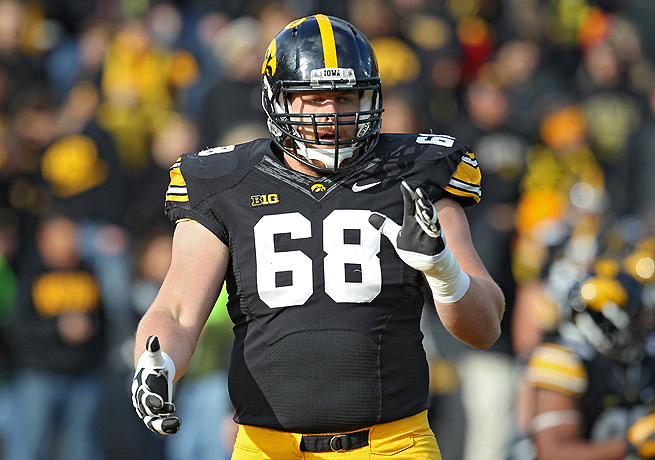 Scherff does an excellent job reaching the second level and has an extremely violent punch. He needs to improve in pass protection and more specifically the ability to anchor. This goes along with his lack of balance, but he is the best run blocker in this year’s draft. He could start off his NFL career at guard before moving to tackle.